After retiring from the Miami tournament before the semifinals that he had to face the Scot Andy Murray, with tendinitis in his left knee, Rafael Nadal next week visit to Dr. Miquel Sanchez, in Vitoria. Will be treated to infiltration of plasma rich in growth factors to try to get ready for the first major event of the season on land, the Monte Carlo Masters 1000, where it seeks its eighth consecutive title. Nadal, who apologized on his Twitter account to his followers - "I'm sorry for my fans, but I am not able to play on my knee" - not the first time you visit Dr. Sanchez. It did in July 2009 after his resignation to contest Wimbledon with tendinitis in both knees. The opinion of Dr. Angel Ruiz Cotorro, Nadal's personal physician and the Spanish Federation, was clear: "You have an insertion tendinitis of both quadriceps tendons with mild bone edema in both upper poles of the patella." The Nadal press conference at the premises of All England Tennis Club, before hundreds of journalists, was little more than a drama. "I want to take some time to recover. I'm playing in the knees thinking more in the game, and this is very difficult." "I've reached the limit and I need a cleaning to return to power. Nine months I've been playing with sore knees," said it was still number one in the world. Now suffering the injury is not as serious as this. This next week will keep all rest and during the same visit Dr. Sanchez in order to be ready for the start of the tournament in Monte Carlo on 15 April. Nadal suffers surface changes more than any other player. The hard courts especially affects the knees, the most fragile part of your body. The treatment of inflammatory and mesotherapy has not worked this time. 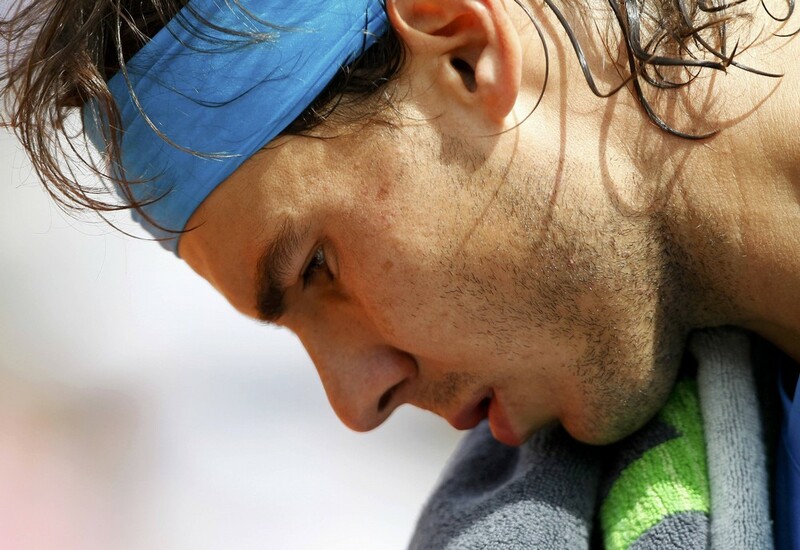 "My knee is not ready to play good tennis," Nadal said after leaving the eighth of his career.